Instagram has become one of the most used photos sharing application around the globe. It currently has more than 1 billion monthly active users up its sleeve. It also launched, Instagram TV aka IGTV, that enables people to share lengthy video content. As more and more people are using Instagram in their daily lives, marketing on Instagram has become very crucial for small as well as big businesses. Now Instagram advertising makes about 27.8% of overall mobile advertising revenue to Facebook, its parent company and it is expanding its horizons to garner more brands to share and monetize their immense user base. In this article we are going to look at how to create Instagram Ads. Since there are many user profiles on Instagram, a usual Instagram profile won’t cut to target a specific type of audience to market products and services. Moreover, normal Instagram accounts are good for casual use. Instagram Business profile allows analytics and insights about how each post performs and how effective your ad campaigns went through. Instagram advertising helps businesses and brands to effectively target their post visibility to the right audience and help to connect with the customer and their future prospects. Advertising is always a good way of acquiring more customers. But when you take your first step towards spending money, you need to make sure what, why and when you need to advertise. Advertising umbrellas on a sunny day won’t give you much traction. You need to advertise on rainy days itself. When it comes to advertising you need to take in the whole picture and the advertising goals must align with the business goals you set for the future. First, you need to build an organic audience and start building from there. Experimenting with multiple varieties of contents and garnering insights from them lets you learn more about your audience. Most of the time organic results give you more reach and impressions that any type of promotions. The best promotion you can give to your page is good quality content. Advertising highlights how good you are, and not the other way around. You should create Instagram ads in such a way that, it enhances the groundwork you did, rather than throwing away some money and hoping that someone else will do it for you. With that being said, we can move on to how to create ads in Instagram and enhance your business. First, You need to set up your Instagram Business Account. After you have set up your Instagram account you need to fill in all the details of your account and your business details. Then you need to start posting. First, you need to select a post for creating an Ad on Instagram. The post can be anything from – Pictures, Gifs to Videos. Make sure your post has the potential to make people like and share it with other people. 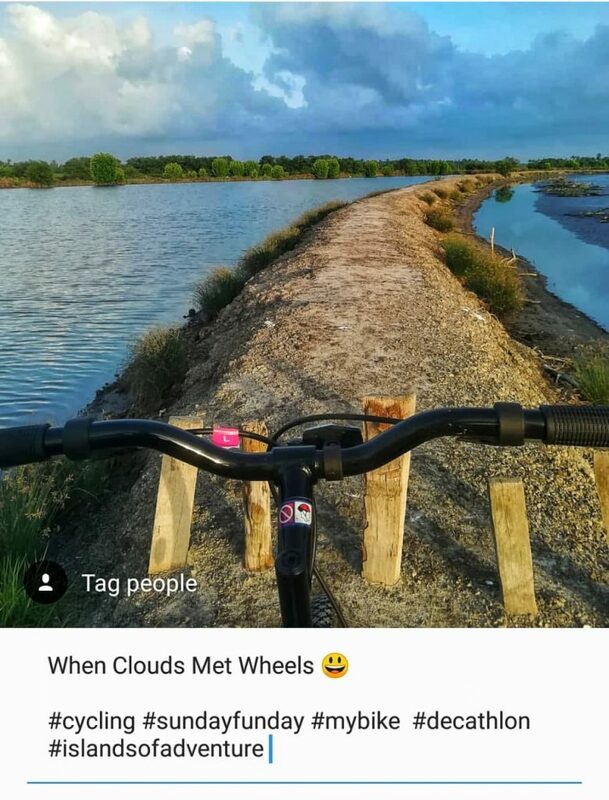 After you have selected your content, give a good caption to make people connect with it. Captions play a major role in enticing your products. Hashtags are very important and is one of the most essential components while we are about to create Instagram Ads. You need to research and find trending or rich high performing hashtags and adopt it in your post. You can browse through the most popular Instagram hashtags and pick one that suits your business. Are you new to Instagram? Need help to grow your following? Here’s a handy actionable guide to increase your following on Instagram. Click on the Promote button and you end up in a Screen: Select the Destination”. You can choose between three types of Destination. 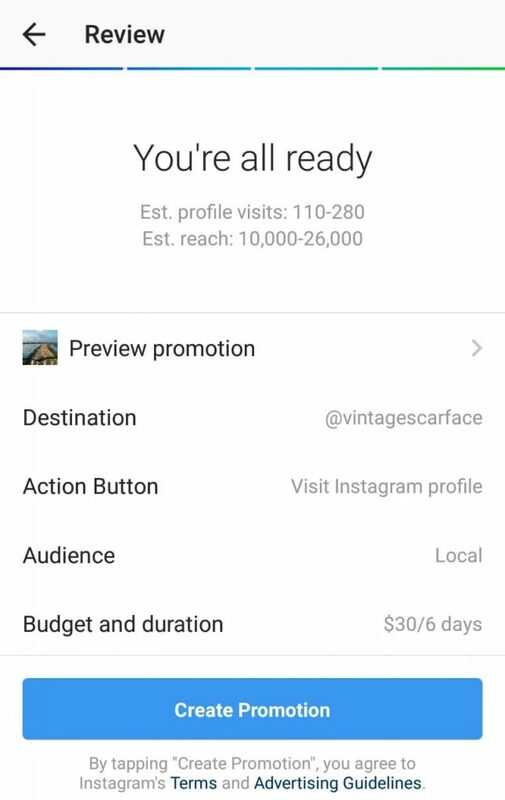 This option will help you to create an Ad with an Action button that says” Visit Instagram Profile” and link your profile so your audience can access more content from your profile. This will help you to put in your website address and link the destination address for the people to easily access it through the Instagram In-app browser. You can select from a list of options like “Shop Now” or “Watch More” as your Action Button. This option is helpful for if you want people to get your direction or to call your business. Your action button will say “ Call Now” or “Get Directions” and this depends on which you want to choose. 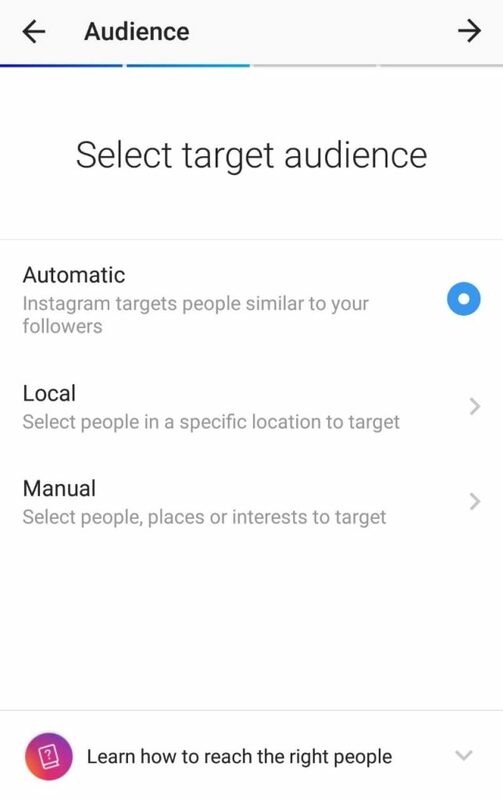 Instagram has three modes of audience selection – Automatic, Local and Manual. Automatic: Automatic targeting leverage the type of followers who are following you. This option also shows posts to people who have engaged with your content in the past and are looking for more. 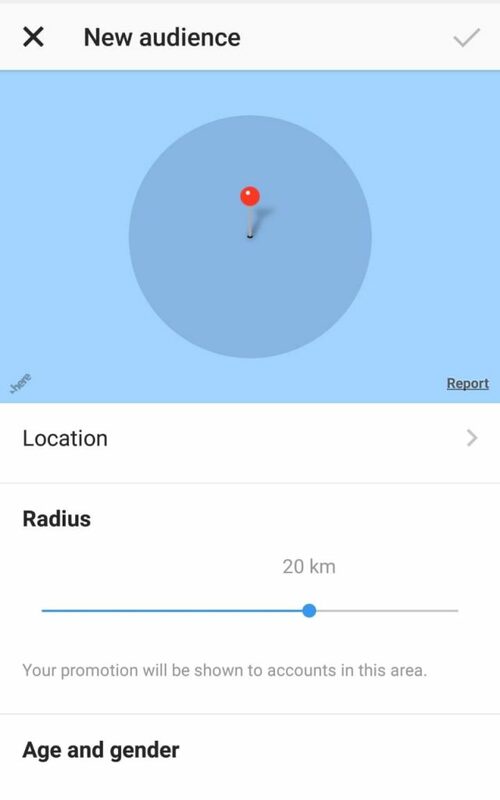 Local: Local option works based on your location. This option also shows your ads to people you followers and those people who are nearby to your location. Manual: This option lets you build a new type of audience from scratch. 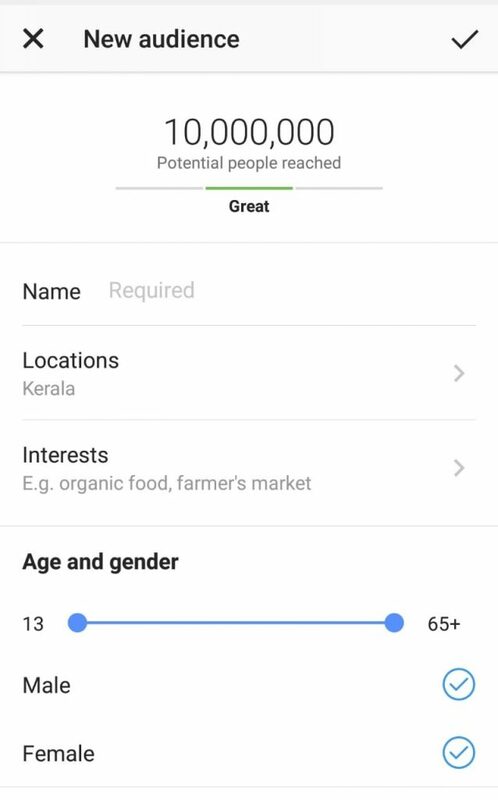 The manual mode lets you select your target audience via four metric – age, gender, location and interest. This mode also comes with the option to add further add more interests to your list as your potential audience grows. You can target your audience using the above options. The most useful target metric are interest, location, age and gender. Using the correct dynamics of the above four metrics will ensure you a good control over the ads you provide. Ads that target a specific audience have high success rates as these ads ideally represent the people and they could find a connection to it. Moreover, audience targeting also helps you to prevent people who are not in your metric from seeing your ads. For example: If you create ads with specific food products targeting vegans, you seldom want it to show people who are non-vegans. Now the most important part, the Budget and Duration of the ad. Budget affects the number of people who see your ad. The pool of people whom you can target and reach will be higher with more budget. But for getting started, you need to first go with a recommended budget, or a budget you are more comfortable with as with more experimentation comes with better ad creation that repeats better results and good conversion. Moreover, the budget is also tangled with the duration of your ad. The duration determines the period of your ad, the start and the end date. Instagram recommends keeping your ads at least for a minimum of 3 days to have their algorithm find the right people to showcase your ad. The review showcase the summary of the ad you are about to create. Here, you can have a preview of your promotion, Destination; which account benefit the ads, Action Button, Audience and Budget and Duration. 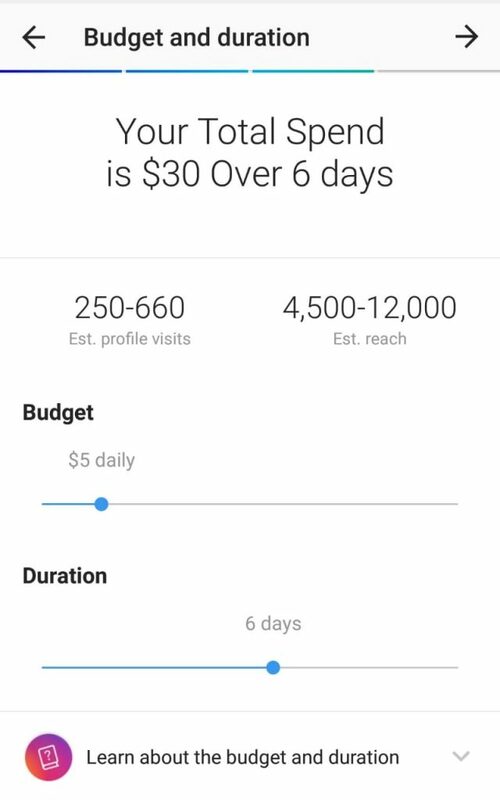 You can add your payment method and hit “ Create Promotion” and you learned how to create Instagram Ads. Happy Instagramming!! !